Samraan qualified in 2011 at the University of Birmingham. 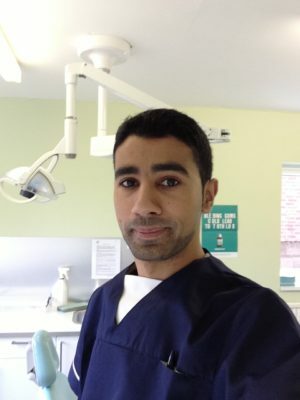 He enjoys all aspects of dentistry but has a special interest in restorative dentistry. He is also trained to provide short term orthodontic treatment. Samraan had also undergone training in facial aesthetics and is able to provide Botox and Dermal filler treatment. Out of dentistry, Samraan enjoys spending time with family and friends. He enjoys football, watching movies and he likes to travel.